Tough day at work or at home with the kids? It's your turn to relax, read a book, stream a movie or just chill with Prosumer’s Choice Extra-Long Bamboo Bathtub Caddy. 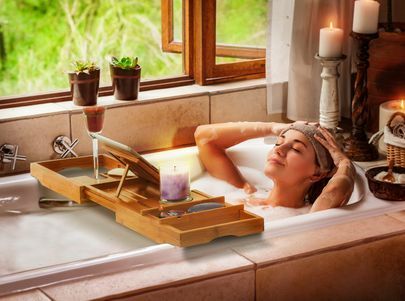 This elegant, sturdy and sustainable bath caddy expands up to 43 inches to fit small, medium and large bath tubs as well as hot tubs and offers an indented wine glass holder that keeps your glass securely in place as well as a built-in area for your smartphone or tablet. 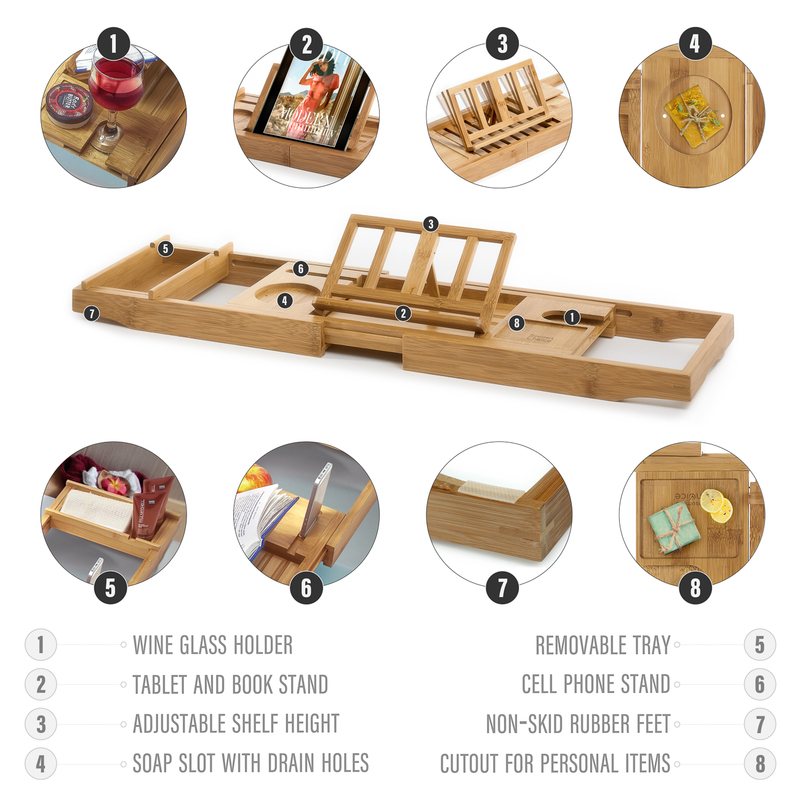 The caddy is also useful for families to organize personal items rather than taking up scarce space on the sides of the tub. Turn your bathroom into a luxurious home spa in an instant. 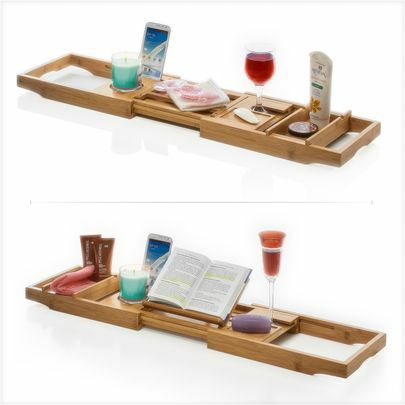 Use the large detachable spa tray to hold a hand towel or snacks; for extra security, slip-resistant rubber feet grip the tub so all your amenities stay firmly in place. Additional features include a height adjustable reading stand for books and tablets, candle stand, wine glass holder, detachable recessed tray for snacks, nail polish, bubbles, and bath items, Smartphone stand, and soap slot. 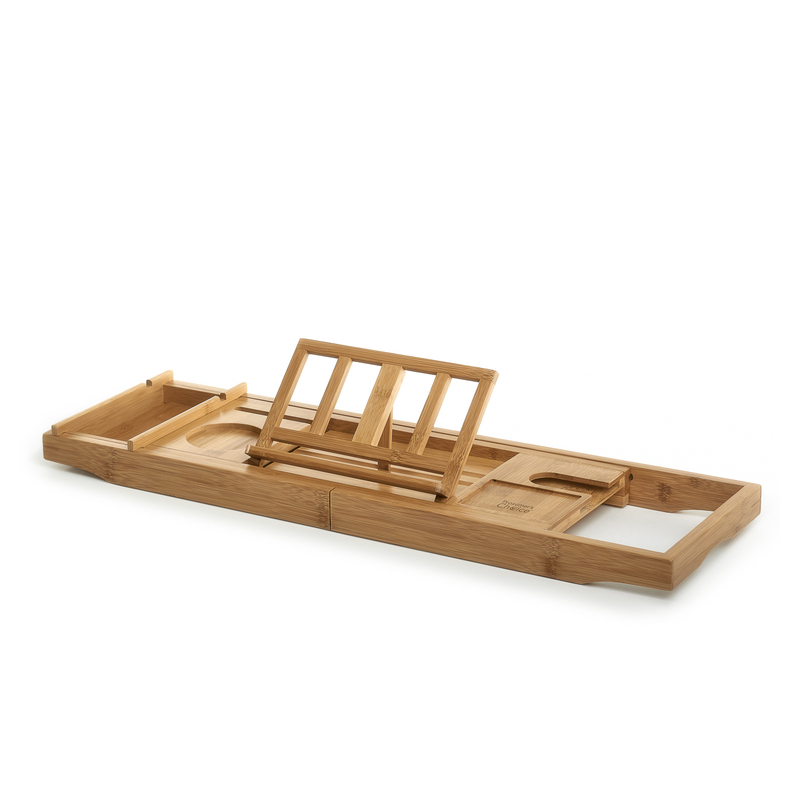 With a sturdy construction, this premium bathtub tray is made of FSC® Forest Stewardship Council) certified 100% natural bamboo and manufactured in a facility certified as socially responsible by the Business Social Compliance Initiative (BSCI). 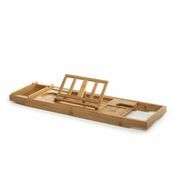 The all-natural bamboo resists moisture and steam so it's an ideal companion for the tub or Jacuzzi. Your bath caddy is easy to install with no assembly required. 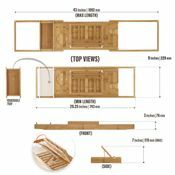 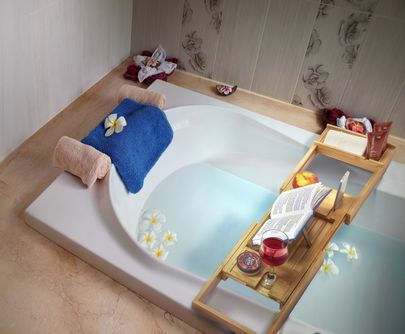 Simply slide the sides outward to fit your tub and let the spa treatment begin!